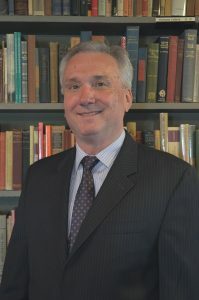 James E. Person Jr. is a writer, editor, and lecturer who has been involved with the activities of the Kirk Center since its founding in 1995. He was named a Senior Fellow in 2011. A graduate of the University of Michigan and the University of Denver Publishing Institute, Mr. Person worked in publishing for over thirty years. He has edited and written for many literary, historical, and biographical reference works, including Twentieth-Century Literary Criticism, Contemporary Authors, Rock: The Essential Album Guide, Literature Criticism from 1400 to 1800 and many other titles, including American Conservatism: An Encyclopedia. Mr. Person is also a freelance writer who has published over 200 essays, articles, and book reviews in the Virginia Quarterly Review, Modern Age, the Detroit News, National Review, the Washington Times, the University Bookman, Touchstone: A Journal of Mere Christianity, the Norfolk Virginian-Pilot, the Raleigh News & Observer, and other venues. He currently works as a program manager in the automotive industry. Mr. Person produced the first two books on the distinguished man of letters: The Unbought Grace of Life: Essays in Honor of Russell Kirk (1994) and Russell Kirk: A Critical Biography of a Conservative Mind (1999). Most recently he edited Imaginative Conservatism: The Letters of Russell Kirk (2018). A native of Virginia, Mr. Person is the biographer of the Virginian writer Earl Hamner, author of Spencer’s Mountain and The Homecoming, as well as the creator of the beloved long-running television series The Waltons. Mr. Person’s well-received biography Earl Hamner: From Walton’s Mountain to Tomorrow appeared in 2005. He lives in Northville, Michigan, with his wife Lista. They have two grown children, David and Rebekah.